So Spring has arrived and it is time to take those first steps outside into the fresh air. You may need to shield your eyes, that blinding yellow ball of light in the sky is starting to appear on a regular basis. It may not be bikini weather but the days are getting longer, the colourful spring flowers are beginning to bloom and there is never a better time to start enjoying long walks around this beautiful Kingdom. 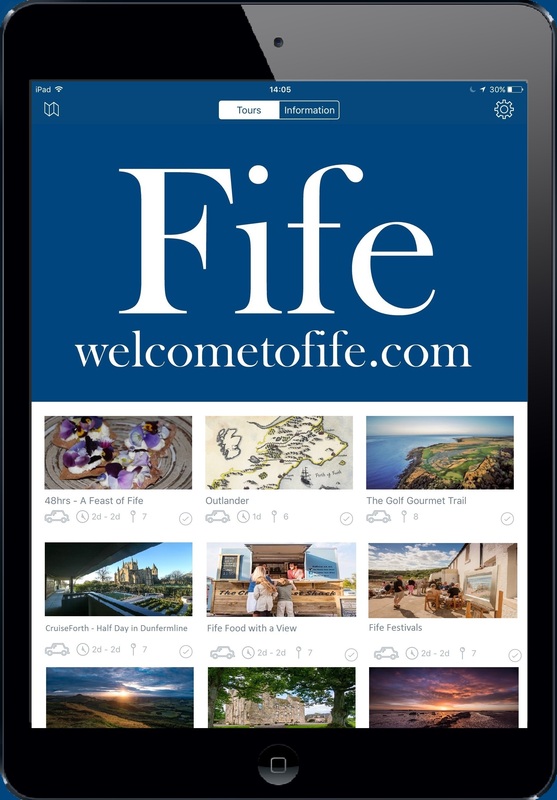 Fife has some gorgeous walks, taking in castles, rivers, parks and forests, not to mention 117 miles of picturesque coastal path, so grab the kids and the dog, stick on your boots and venture outdoors. One specifically for Spring is the spectacular Snowdrop festival at the Cambo Country House, in the North East of Fife. For a few weeks each year thousands carpet the forest floor making for an enchanting walk through the woodland, let the children hunt for the mysterious Glingbobs and Tootflits on a fairytale trail while you admire over 350 different varieties of this special plant. The little piglets will want fed and if you fancy waking up in the middle of the forest you can stay over in their quirky converted boat! Where else to see Spring taking shape than St Andrews Botanic Gardens? 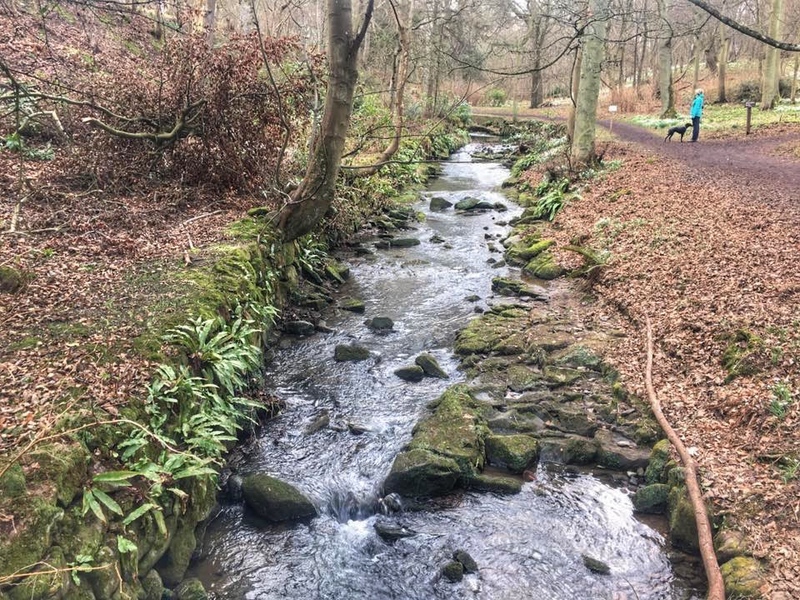 8000 species of plants grow in the sheltered gardens and as you walk the path lined with towering trees you can admire the herbaceous borders, ferns and shrubs that are hardy enough to survive a Fife winter. 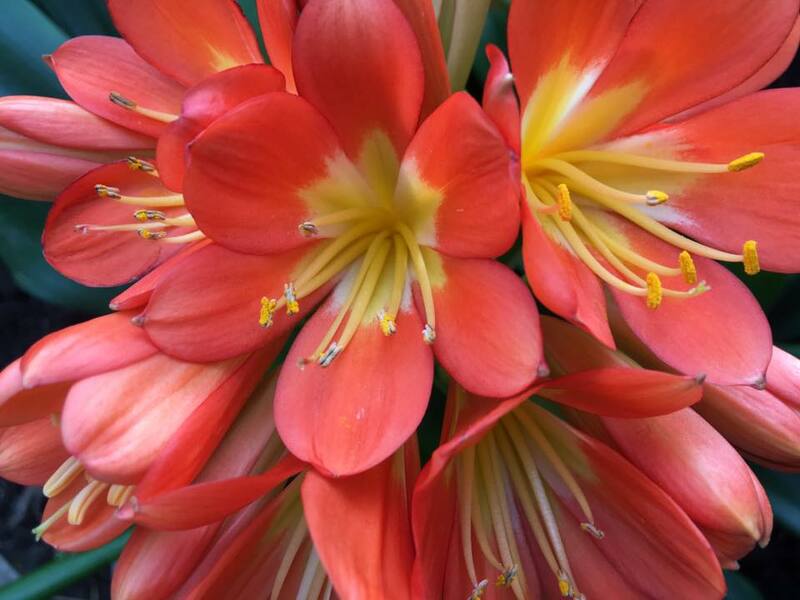 Inside the many greenhouses are exotic and rare plants and flowers from around the world who maybe aren't so brave! 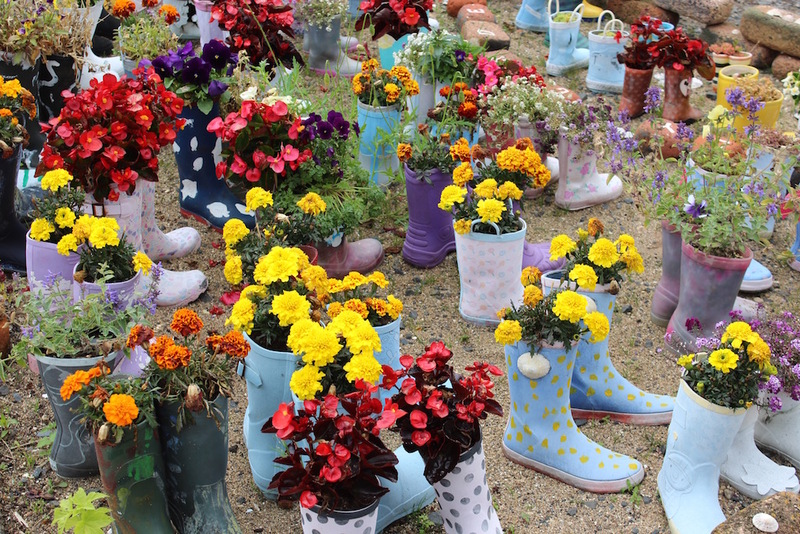 This is a lovely walk; you can head down to see the Kinness Burn and the rock garden, which, in Spring, is home to over 2500 different species of alpine plants. If you bring the kids there is a woodland hedgehog trail to keep them busy as you relax in this wonderful haven in the middle of town. 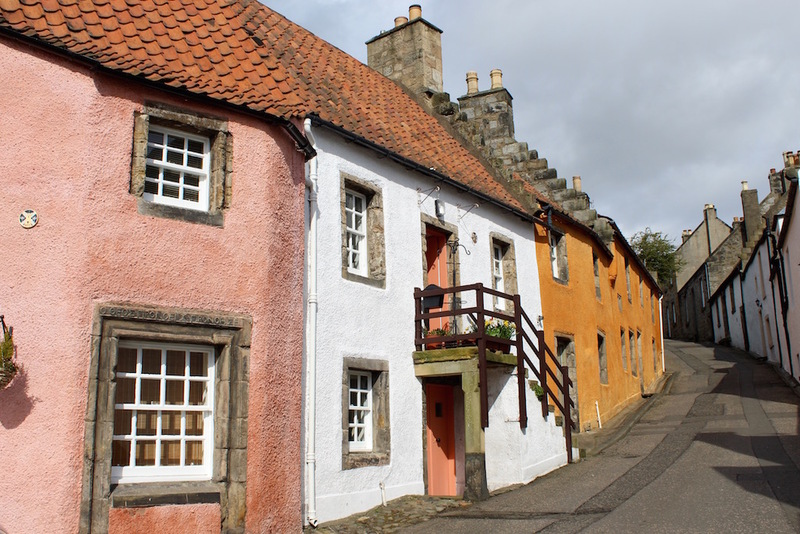 The village of Culross makes me smile every time I visit, so when I discovered I can get a decent walk around it, which also lets me see all the historical sites and passes the scrumptious Biscuit Cafe so I can have my soup, I was happy. Culross is like a time warp, trapped in the 16th-18th century thanks to the loving care of the National Trust. This walk is peaceful and tranquil and not arduous at only 3km. Beginning at the large (and free!) car park at the east end of the promenade the walk takes in the Palace which is opening for the summer this month, and the lovely 17th century Jacobite herb garden behind it. Used as Claire's herb garden in the TV series Outlander it really comes to life in the spring and the small climb to the benches at the top of the garden offer superb views of the village and out to the Firth of Forth. From here pass the Town House and turn left up Back Causeway to the Mercat Cross, before heading up Tanhouse Bray and Kirk Street to Culross Abbey. The path then heads north then left at the footpath, which takes you along the edge of a field to a small sign for West Kirk. Turn right here and explore this fascinating little graveyard, which was also used in the filming of Outlander. If you carry on west past the Kirk to the metal gate, turn left, follow the long straight path to the private Dunimarle Castle to meet the path which leads you back to the village, you'll have walked far enough to warrant a big bowl of soup from the cafe and even one of their homemade cakes. Every section of the Fife Coastal Path has some beautiful areas but this is one of my favourites. It has a bit of everything. Three cute villages with traditional East Neuk coloured cottages, beach walks, picturesque harbours and an award-winning chippy at the end, which in my books is pretty vital (that or ice cream, which it also has - bonus). 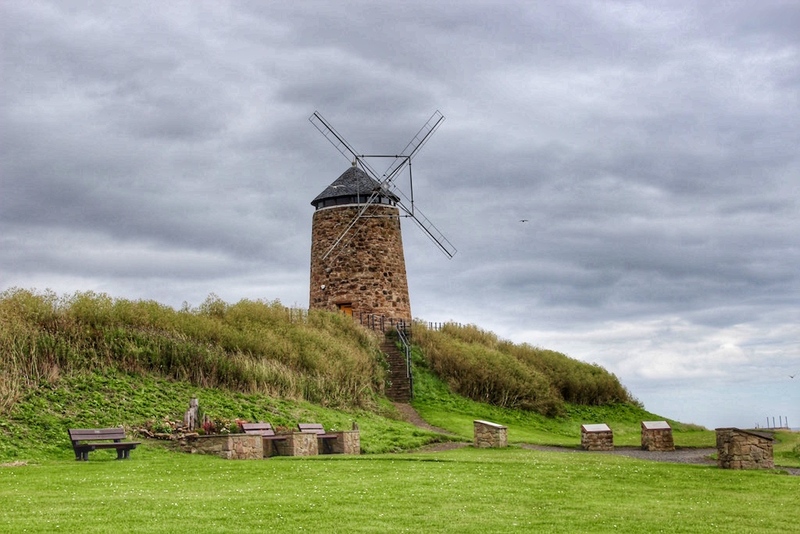 This section begins at the harbour of St Monans (try to find the welly garden on the shore, it’s so pretty when the flowers are in bloom) and passes the old windmill, which used to pump water for the saltpans. If you want inside you can borrow the keys from the Spar in the village. You also pass the long-abandoned outdoor swimming baths. The route from here is pretty straightforward and well signposted, just look out for the Fife Coastal Path arrows. 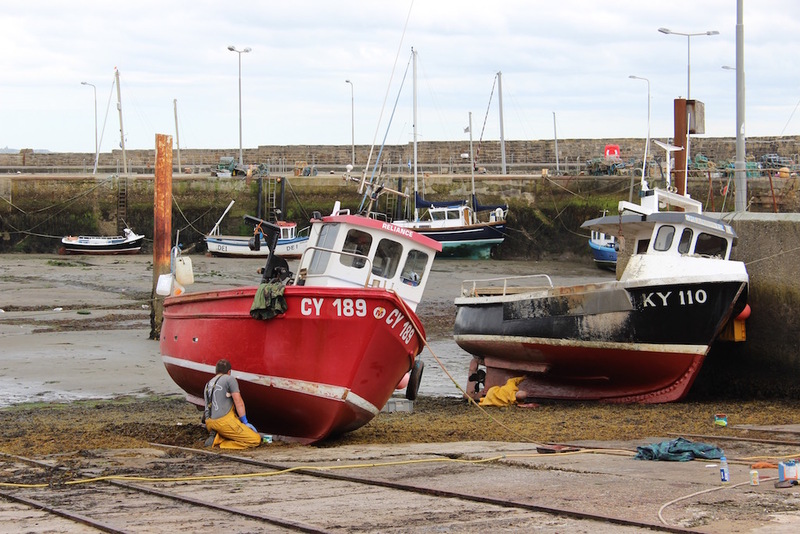 Pittenweem is a working Harbour and if you ever get there early enough in the morning you can watch the fishermen return with their catch and haggle in the fish market on the seafront. The cute colourful houses that line the waterfront are seriously Instagram-worthy and I love looking at the little details on each of the buildings. Head along to the far end and turn left up Abbey road to reach a lovely walk along the sea cliffs. Skirt the edge of the golf course to reach Anstruther and walk through the High Street before turning right down the winding lanes to reach the seafront. It's here you will find the award-winning chippy and, in my opinion, another two equally good chippies so you can take your pick. There are also loads of quirky little independent shops here and you can even jump on the boat (Anstruther Pleasure Cruises) to see the puffins on the Isle of May. No need to give you the route because it begins from the tourist office next to the stunning City Chambers where you can pick up a map. I love this walk as it takes in Dunfermline's fascinating history by including the Abbey where Robert the Bruce is buried, the Palace where Charles II was born and the salmon coloured 15th century Abbot House and gardens. 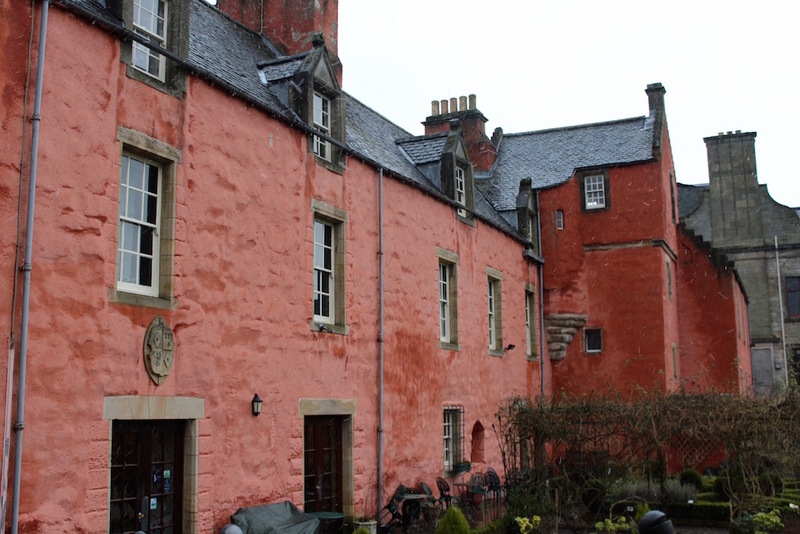 You can also visit the Andrew Carnegie Birthplace Museum, which is free to enter and take a spring stroll through the pretty Pittencrieff Park. Here you can see a waterfall and follow the burn to Pittencrieff House which also has a free museum. After admiring the art deco Glen Pavilion the path heads back up onto the High Street. A whistle stop 3km walk with a bit of everything thrown in, and you'll learn a little too.